This is the third episode in a row to have no changes. This is a completely SHAME. This episode has a few frames with a terrible appearance (5 or 6 at least). It’s not much, but that deserves to be fixed. I repeat: SHAME. it looks like they chose a kind of derpy art style so they didn’t bother any fixes anymore. no fan complains and no need fixes. good strategy TOEİ! Zero changes? Lol. 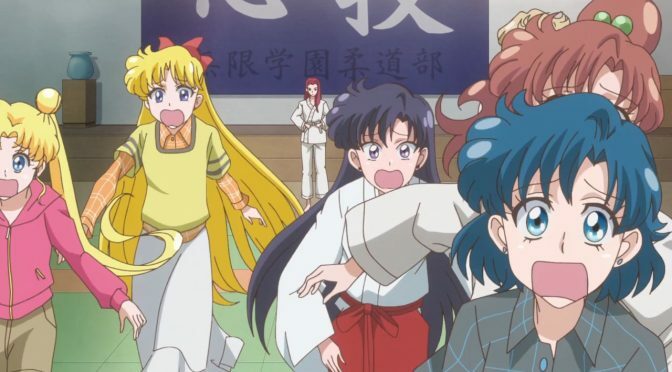 Well, the quality has improved a lot but it still isn’t perfect, just look at Ami’s face in this entry image, it looks terrible, her mouth is really weird. At least, they fixed derp faces in Season 1 & 2.